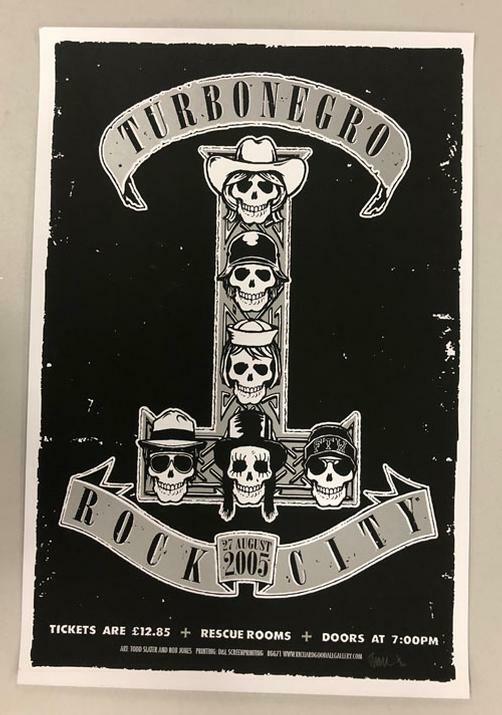 Original silkscreen concert poster for Turbonegro at Rock City in Nottingham, Great Britain in 2005. 16.75 x 22.75 inches. 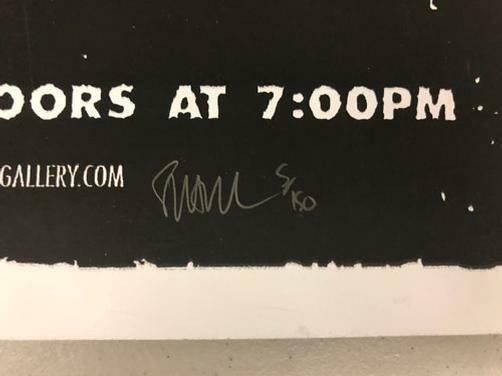 Signed and numbered 5/150 by the artist Todd Slater. Edge bump, light handling marks, light scuffs.